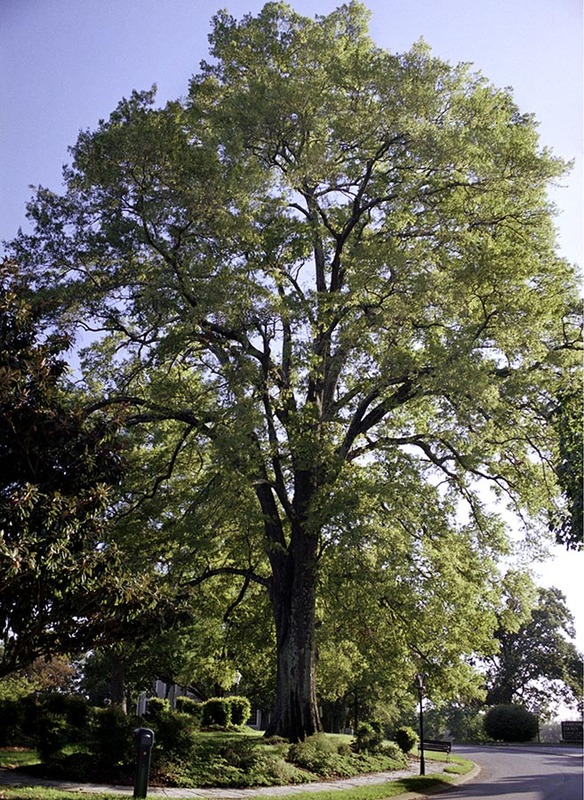 The Bonny Oaks Willow Oak stands in Hamilton County on land once occupied by the Cherokee Indians. Colonel Lewis Shepherd originally settled in the area, and in 1840 Colonel Jarrett G. Dent built the Dent House (now on the National Historic Register) on the property. Captain C.C. Peak owned the property in 1867 and named it “Bonnie Oaks” for the stately oak trees that surrounded the homestead. This willow oak dates to before 1854 when the Bonny Oaks Orphanage was established to teach agrarian skills to children and included a working farm. The enormous tree is on property owned by the Hamilton County Parks Department. The Dent House is in the National Register of Historic Homes.